Very nice excellent condition Kanetsune tanto. In very top level polish, this blade is very healthy, especially for its age. 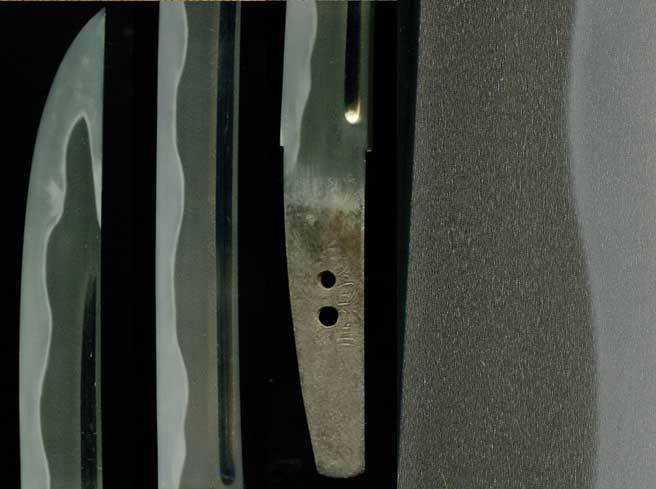 From the late koto period, this blade was obviously well cared for by all of its previous owners. 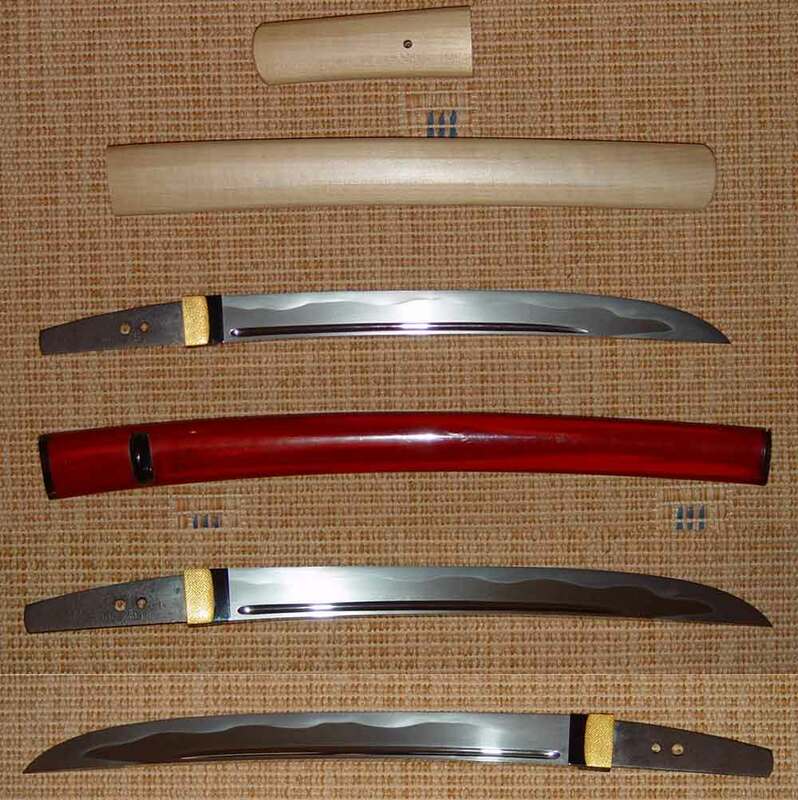 Very similar to the famous swordsmith Muramasa, the use of notare for the hamon which is identical on both sides is a Muramasa trait.. There is the theory that Muramasa learned from top makers from the Mino Seki School, thus the similarities in shape and workmanship. Nice wide shape, along with the well proportioned notare ko nie deki hamon. Yo and small kinsuji are seen in the hamon. The well knit ko itame hada has large chikei in places, utsuri appears in the ji just below the well cut groove. The boshi is very healthy and one can see from the pics that this blade was probably never nicked or chipped in any way. Tang is ubu signed 2 character “Kanetsune”. There is a very excellent top grade habaki done in gold and shakudo in the sayagata pattern, habaki of this type run around $900 and can only be done by top craftsmen. A new shirasaya and NBTHK Hozon paper finish the piece. The original scabbard is included.